Moving home is something that the majority of the world will experience at least once in their lifetime, and it’s one of the most stressful things that you can do in your lifetime. Why? All of the planning, financial woes, packing, time off work, and many other assets contribute to the levels of stress that people experience when it comes to moving home. Here are 8 facts about moving that might just help you if you decide to move. 1. If you’re moving locally, it will cost you less to hire a removal company than it will to hire a truck and some help for the day. So if you’re moving soon and not too far away, it might be worth looking into seeing how much a removal company would cost you compared to trying to do it yourself. 2. Many people think that selling their home is as simple as putting it on the market and waiting for an offer. They don’t think about fees that come from estate agents, and documents that they need to fill out and sign. This blog shows how you can increase the value of your home to make it sell faster. 3. The months of May, June, July and September are the most common months to move home, especially for those of us that live in climates that tend to get very cold during the other months of the year. Nobody wants to attempt moving home in the snow and ice. 4. Did you know, that in America the average weight of a household is 6500 pounds? This might make you think twice about what to throw away when it comes to moving. Do you really want to shift that much weight around? 5. The biggest reason for people wanting to move home, in in fact young adults wanting to move out of their parents home to become more independant. Closely followed is not liking the neighborhood or to be closer to local amenities. 6. Moving is guessed to be the third most stressful thing to do in your lifetime, behind death and divorce. Make sure that the move you’re planning is right for you and your family before putting yourselves through any stress. 7. 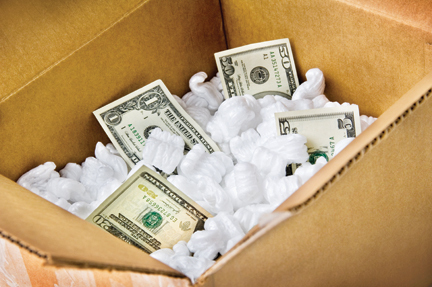 Worried about the cost of moving? The least expensive time to move is in the winter because of how cold it is. Removal companies tend to be cheaper around this time because of wanting to keep up a flow of clients. 8. Did you know that the majority of us forget to label our boxes when we move home? It might seem like a very trivial task, but it will save you a ton of time when it comes to unpacking. Even if you simply label the box with the room it needs to be in it will make your life easier. Take on these 8 facts before moving home and see if you can use the information to make your move that little bit easier. Remember that it’s one of the most stressful things you can do, so take your time and enjoy your new home!